Today, on 21 September, the world is celebrating International Day of Peace. The theme for 2016 is 'The Sustainable Development Goals: Building Blocks for Peace'. 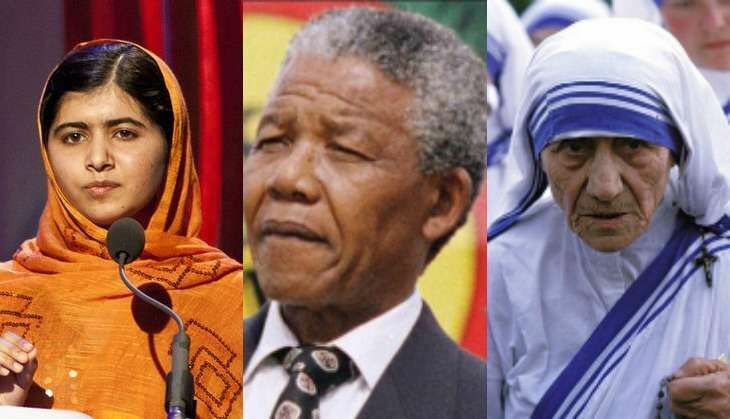 At a time when the world is a constant witness to violence in the name of peace, when communities are baying for blood in the name of religion and when nations that once symbolised peace are turning into warehouses of nuclear weapons, these quotes by Nobel Peace Prize winners seem quite relevant. "Despite theological differences, all great religions share common commitments that define our ideal secular relationships. I am convinced that Christians, Buddhists, Jews, and others can embrace each other in a common effort to alleviate human suffering and to espouse peace." "Let us pick up our books and pens. They are the most powerful weapons." "At the moment of death, we will not be judged by the amount of work we have done but by the weight of love we have put into our work. This love should flow from self-sacrifice, and it must be felt to the point of hurting." "Our words must be judged by our deeds; and in striving for a lofty ideal we must use practical methods; and if we cannot attain all at one leap, we must advance towards it step by step, reasonably content so long as we do actually make some progress in the right direction." "...the beauty of genuine brotherhood and peace is more precious than diamonds or silver or gold." "Hope is the bedrock of this nation. The belief that our destiny will not be written for us, but by us, by all those men and women who are not content to settle for the world as it is, who have the courage to remake the world as it should be." "Let us together create knowledge for all that benefits all."